Prime Day 2018 is coming! Prime Day is like another Black Friday that Amazon has each year and it’s exclusive for Prime Members. If you do not yet have a prime membership, you can get a trial here. I love my prime membership – it allows me to get free 2-day shipping on almost anything and they are always adding new features, like Prime Music or Prime Pantry. The shipping has come in super handy when I have run out of my favorite lotion. It’s quick and cheaper than the stores around me. This year, Prime Day will start on July 16th at 3pm ET and go through July 17th at 3am ET. There will be lightning and other short term deals, as well as certain category discounts throughout. Keep this page bookmarked, as I will be working to keep a list of the best skin care deals updated on this page! They have some deals ready early, so check those out below! They’ve also mentioned some of the deals that will launch on Prime Day specifically! Bookmark this page to stay up to date! The Clarisonic Mia 2 is a great facial brush that we highly recommend! We have a full review on it and other facial brushes here. 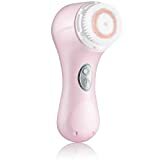 It uses an oscillation technology to flush out your pores and leave you with cleaner, healthier, and younger-looking skin. What’s great about this model is that they offer a number of different brush heads for different needs, allowing you to personalize your brush to your facial needs. Also on a Prime Day deal are the compact Mia Fit 2 (including the men’s version!) and their deep pore replacement brush heads and other brush heads. Silk’n Blue uses blue light technology to help treat acne and prevent future breakouts. It does this by drying out oil producing glands and targeting the bacteria that causes acne. The treatments are painless and are not just limited to the face! It can take time to see results (3-7 weeks), but many are pleased with results after that time! Paula’s Choice-SKIN PERFECTING 8% AHA Gel Exfoliant is different than most of the exfoliants you may have used in the past, as this one is a leave-on formula. Due to the AHA, which can increase sun sensitivity, so it’s recommended to apply products with it at night or to ensure that you wear sunscreen over it. This gel is helpful for reducing the appearance of age spots and promoting overall firmer skin. Body Merry Age Defense Eye Cream is an anti-aging cream designed to help with eye puffiness and dark circles. It also aids in reducing sagginess, wrinkles, and crow’s feet! It includes aloe, coconut oil, cranberry extract, and more. Many ingredients are organic. Their products are cruelty-free! The Body Shop Tea Tree Skin Clearing Facial Wash is a facial cleaning gel that is suitable for daily use. It is formulated for blemish-prone skin, but suitable for other skin types, as well. They use community trade tea tree oil, supporting smaller farmers, and don’t test on animals, which are huge pluses for me! Era Organics Tea Tree Oil Face Cream is specially formulated for oily and acne prone skin. Tea tree oil is an anti-bacterial that is great for acne and other skin issues, including redness and inflammation. What I like about this product is all the other great ingredients it includes, such as St. John’s Wort, aloe vera, and dandelion root. The tea tree oil adds a light scent that is not overpowering. 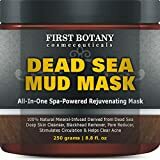 First Botany Cosmeceuticals Dead Sea Mud Mask uses minerals from the Dead Sea, which have long been known for their healing powers. This mud mask is helpful in detoxifying and cleaning the skin. Mud masks are helpful in treating acne, due to the antibacterial qualities. It can also help with blackheads, large pores, etc. Rub a layer of the mask onto your face, leave on until dry, then rinse. 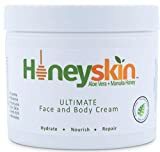 Honeyskin Organics Ultimate Face and Body Cream is a 100% cruelty free product. It includes aloe vera and manuka honey to help treat rosacea, eczema, acne, dermatitis, and other skin disorders, as well as blemishes and an uneven skin tone. It’s also great for redness and skin irritation. It is specially formulated to be pH balanced for your skin. 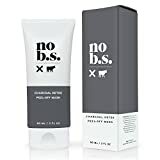 It does not contain fragrances and is a non-greasy cream. 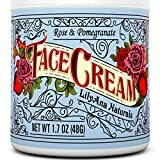 LilyAna Naturals Rose & Pomegranate Face Cream is an organic facial cream with moisturizing ingredients, such as aloe, essential oils, vitamin C, and rose oil. It’s good for all skin types, even those with more sensitive skin. Though designed as a facial cream, it’s good to use anywhere on your body that is in need of extra moisturizing! Skinfood Strawberry Black Sugar Facial Mask Cleanser looks good enough to eat, but it’s actually a very helpful facial mask! The strawberry seeds help to exfoliate your skin, while both the strawberries and black sugar include many helpful minerals and vitamins, such as calcium, riboflavin, vitamin C, and potassium. The smell is amazing – it really does smell like jam! 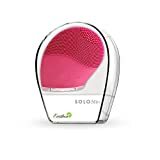 The SOLO Mio facial brush is similar in style to the Foreo Luna, but is a discounted version of it. It uses a sonic cleansing method and is rechargeable, rather than being battery operated. It has 14 different speeds, so it’s really easy to find the right speed for your skin type and preferences. They even have a men’s version for the favorite guy in your life! Looking for a facial brush, but this isn’t the one for you? We have reviews of the top facial brushes here! The Body Shop’s Almond Milk & Honey Body Butter is specially formulated for dry and sensitive skin, though it suitable for all skin types, too. It doesn’t have any colorants and its fragrance is hypoallergenic. It provides moisturizing for 48 hours, so you don’t have to worry about applying it frequently or even daily! My favorite part is that it doesn’t leave behind a greasy feeling on my skin! Coffee is not just for drinking! 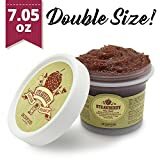 This coffee scrub is an exfoliating rub made from organic coffee, coconut, shea butter, and more. When applied under the eyes, the caffeine in it can help reduce eye puffiness. The anti-oxidants help fight the signs of aging, such as wrinkles, fine lines, and age spots. This is good to use daily, but avoid using it on any freshly shaven skin. BioOptimal Collagen Powder is a powdered collagen from bovine sources. It’s only from grass fed and pasture raised cows that are raised without hormones or antibiotics. Collagen is important in strengthening the connections in your skin, leading to a more youthful appearance. In addition to its skin benefits, collagen is also important for your joints, hair, nails, and muscles. BioOptimal’s powder can be mixed into any hot or cold drink without clumping! I personally like stirring it into smoothies. Additionally, you can use it in your baked goods. Baebody Beauty’s highly rated retinol moisturizing cream is perfect for reducing the look of fine lines, wrinkles, and other signs of aging. It can even help with an uneven skin tone and acne marks. They use natural ingredients, with the majority of those being organic! In addition to retinol, they have beneficial skin ingredients like green tea and jojoba oil. Baebody Beauty’s Eye Gel is also a prime day deal! This is great for any puffiness or dark circles you may experience (I know I do!). Not only does it help any current issues you may be facing, but it also strengthens your skin against future damage, this include providing sun protection. This is fine to use along with the retinol cream. 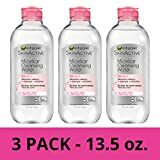 Garnier SkinActive Micellar Cleansing Water is an amazing make-up remover and overall facial cleanser. It’s good for all skin types, even sensitive skin. The micelles lift away dirt and makeup, so you don’t have to harshly scrub at your face. It contains no oils, silicone, sulfates, fragances, or parabens. Best of all – this is a 3-pack! 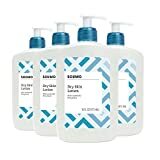 Amazon’s own lotion brand is one of their current deals leading up to Prime Day. This is a pack of four, so you’ll be set for awhile. It’s not scented, so if you’re looking for something that is, this would not be the best choice. I personally like that it doesn’t overpower anything else I may be wearing, though. They also offer an extra dry variety. No B.S. is named as such because they don’t put chemicals in their products or test on animals (pssst…they also offer free samples!). This charcoal mask doesn’t have any parabens, sulfates, phthalates, petrochemicals, or artificial fragrances in it. Not only that, but it’s gluten-free! However, I don’t recommend eating it anyway . A charcoal mask is a great way to clear your pores, reduce your blackheads, and more! I also tend to find the peel-off masks fun, but maybe I’m just weird like that. COSRX Balancium Comfort Ceramide Cream is a unique moisturizer using a therapeutic herb known as Centella Asiatica. It can with a number of skin ailments, including acne and eczema. This moisturizer not only helps to heal your skin, but also creates a barrier on your skin to protect it from irritants and pollutants.